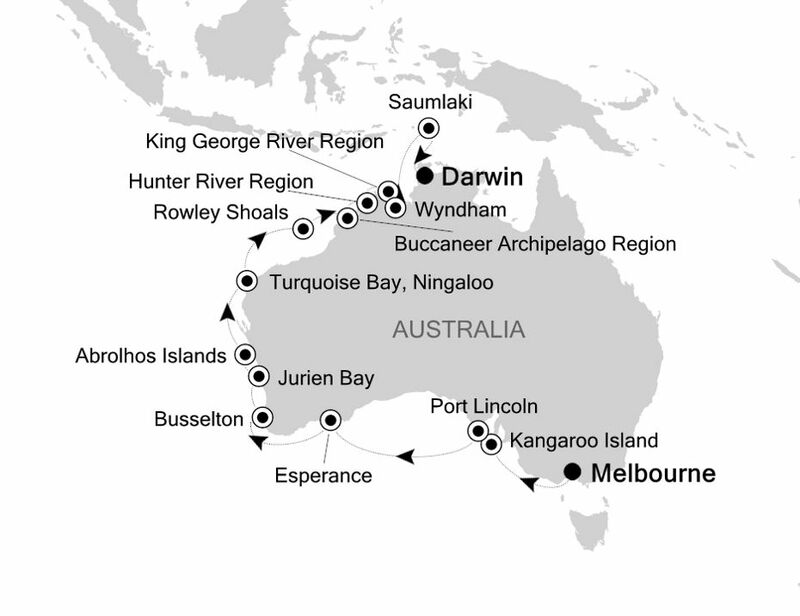 Join us for a journey to partly circumnavigate Australia and to see some of Australia’s hidden treasures. Explore geological features, taste some of the best wines and seafood Australia has to offer, snorkel with sea lions and whale sharks, feel the thunder of waterfalls, explore spectacular gorges, witness variations of Aboriginal rock art, and look for wildlife in destinations that in many cases are accessible only by ship. Cruise by Zodiac through an untamed wilderness to spot wallabies and crocodiles. Vast and wildly beautiful, Australia is a country whose red-hued palette is complimented by its surrounding blue seas. Home to so much and so many, join us on this semi circumnavigation of the Land of Oz. Explore the Kimberley region, taste some of the best wines and seafood on offer and snorkel with sea lions. Add an in-depth exploration of Aboriginal rock art and you have a voyage of superlatives. Throughout the voyage learn about the history, geology, wildlife and botany of this spectacular area from lecture presentations offered by your knowledgeable onboard Expedition Team. FREE $400 US shipboard credit per suite. Venetian Members save an additional 5% of the cruise fares. Depart Canada for Melbourne, AUSTRALIA. Upon arrival in Melbourne, you will transfer to your hotel (please note standard check-in time is at 3 pm). Accommodation: TBA (1 night). Explore the Houtman Abrolhos and learn about the Dutch ship Batavia. Meet members of aboriginal groups who are the Kimberley’s traditional landowners. Wandjina and Bradshaw rock paintings can be discovered in cliffs, rock ledges and caves. Bottlenose dolphins, humpback dolphins, whale sharks, lemon sharks, hammerhead sharks, tawny nurse sharks, manta rays, eagle rays. Green sea turtles and flatback turtles. Saltwater crocodiles and freshwater crocodiles, monitor lizards, Darters, Australian Pelicans, Ospreys, Black and Whistling Kites, White-bellied Sea-Eagles, Comb-crested Jacanas, Little Corellas, Pied Cormorants, Silver-crowned Friarbirds, Crimson Finches, Eastern Reef Egrets, Azure and Sacred Kingfishers, Crested Terns, Red-headed Honey-eaters. *FREE Airfare to Melbourne and returning from Darwin, AUSTRALIA. *FREE 1-Night first class hotel stay in Melbourne, AUSTRALIA prior to your cruise. *FREE 1-Night first class hotel stay in Darwin, AUSTRALIA after your cruise. 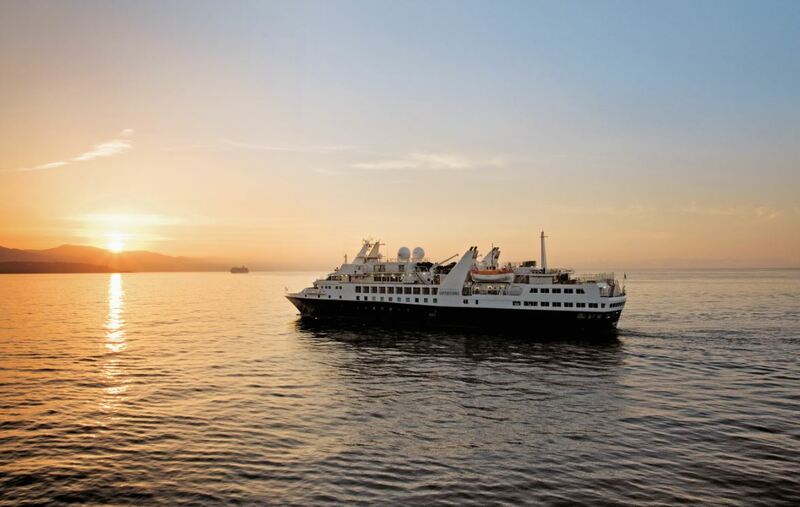 26-day luxury cruise aboard the Silver Explorer Expedition. Highly qualified expedition team with experts in their field (marine biologists, ornithologists & historians). Excursions and activities, including explorations by Zodiac®. Complimentary expedition gear: backpack and water bottle on every voyage. 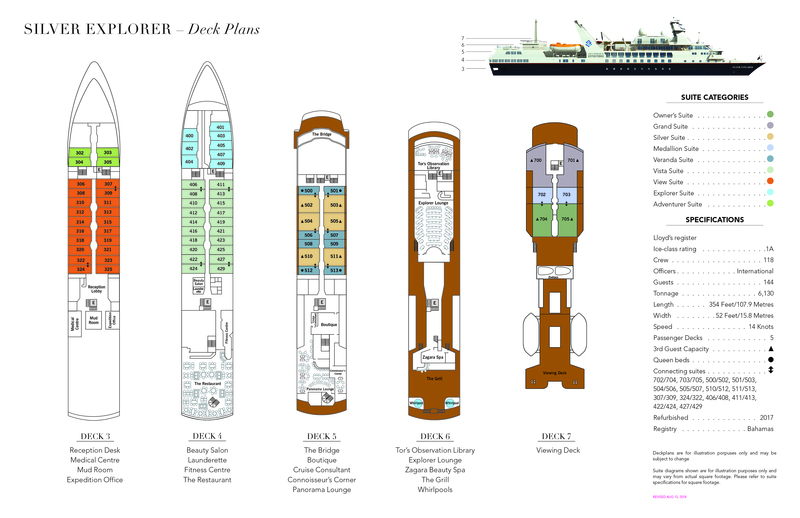 Personalised service with a butler for all suites and the highest crew to guest ratio in the industry. Fine dining even in the most remote places of the planet. Comfortable amenities with the largest expedition suites at sea. 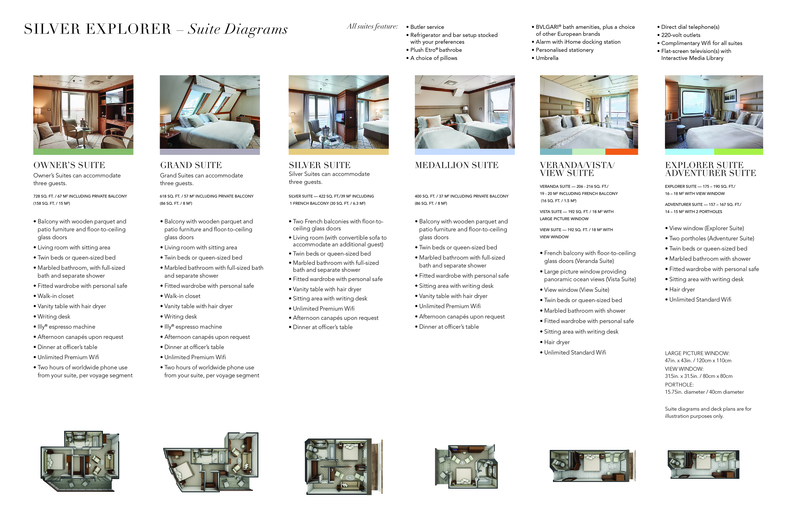 Inclusive room-service, select wines, spirits, and soft drinks throughout the ship.